Absolutely Solar is seeking to partner with owners of commercial roofs in order to build rooftop solar systems that take advantage of Feed-In-Tariff (FIT) incentives offered by utility companies in Southern California. FITs compensate photovoltaic system owners for energy produced under a twenty-year contract, giving rooftop owners the opportunity to turn their roofs into a revenue stream. 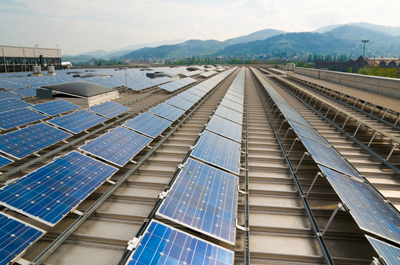 Warehouses or similar industrial facilities tend to be best suited for large-scale photovoltaic systems, and we are currently looking to work with building owners whose properties have rooftops of 10,000 to 200,000+ square feet. Find out more. Absolutely Solar Inc. works hand in hand with our clients, our partners, and leading financial consultants for renewable energy to develop and deliver marquee large-scale current and future solar energy projects. These developments show that sun-powered energy can be a meaningful and profitable endeavor. – Al Rosen, ASI Director of Government Relations and Strategic Planning, speaking upon the sale of ASI’s 3 MW AC pipeline to the European renewable energy company, Eosol Energy.